You may have heard of this phenomenon known as the “gap year”. Basically a gap year is the year between high school and college where a graduate explores the world and finds his/herself before launching into adulthood. 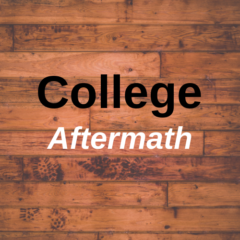 Assuming you are relatively bill-free and have some forbearance or deferment time on your student loans, you have a whole year to be void of responsibility and fly by the seat of your pants. Travel! Backpack through whatever country strikes your fancy and save money by staying in hostels. Meet new people, collect memories, and find your passion. It doesn’t have to be all relaxation, you can network too! Always keep your eye on the prize and have an open mind for job opportunities that may arise. You never know where or when the ideal situation will present itself to you and networking never hurts. More so if your gap year is after college rather than high school, your prospective employers may frown upon a year of no work experience. However, there is a chance that they may see it as a time of personal growth which may work in your favor. Financial hardship. Traveling can cost a lot of money, especially coming right out of college when there is a good chance you have not been working. Ideally you would not work during a gap year because that puts a damper on the rest and relaxation aspect, so financially taking a year off can be rough. The decision on whether to indulge in a gap year is a personal one and cannot be made lightly. However, if you can swing it financially then there is a strong chance it will be one of the most memorable years of your life. 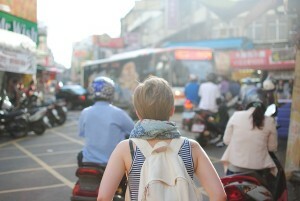 A gap year provides a person with a unique opportunity to grow as a person, to discover their passions in life, to expand culturally and intellectually, and to have experiences that will shape their future. While there are many more pros and cons than those listed, the pros always come out on top. Next Next post: What Do I Do With My Degree?